Ash Grove Cement Company and its subsidiaries operate in more than 60 locations throughout the United States. Lyman-Richey Corporation is based in Omaha, Nebraska and supplies ready-mixed concrete, sand, gravel and related construction materials through its operating companies to customers in Nebraska, Iowa, South Dakota and Kansas. Ash Grove Packaging is a supplier of packaged concrete mix, cement, mortar, stucco and other related construction products through its facilities in Arkansas, Mississippi, Tennessee, Oklahoma, Kansas, Nebraska and Utah, with headquarters in Little Rock, Arkansas. Houston Cement Company, L.P., a partnership with Alamo Cement Company and Texas Lehigh Cement Company, supplies the Houston market with cement imported from around the world. Ash Grove Aggregates is a multi-location limestone producer with quarries in Kansas and Missouri. Their mission is to be the producer of choice in the crushed stone industry. Fordyce Concrete supplies ready-mixed concrete to the Kansas City area. Century Concrete is a ready-mix concrete supplier with four batch facilities in the Kansas City area. 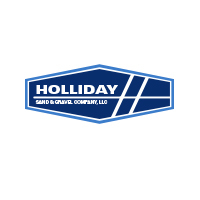 Holliday Sand & Gravel supplies construction aggregates to the central United States and has been in business since 1943. 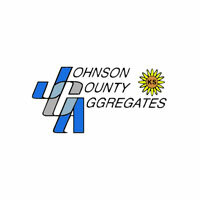 Johnson County Aggregates, located in Olathe, Kansas, supplies crushed limestone to the commercial ready-mix, asphalt and construction markets in the greater Kansas City metro. In 2016, more than 100 years after the quarry was opened and around 75 years after its heyday as a marble producer, Phenix Marble Company is once again quarrying new material and processing it into slab. Phenix Marble is a subsidiary of Conco. Ash Grove Resources, L.L.C. is based in Topeka, Kansas, and supplies cement and cement kiln dust to the soil stabilization industry in the Midwest and Texas. As an industry leader, Conco Companies will provide the highest level of professional service, product quality, and a rewarding work environment to ensure maximum value to every customer.